Do you love lasagna? Or are you looking for a great meatless meal? 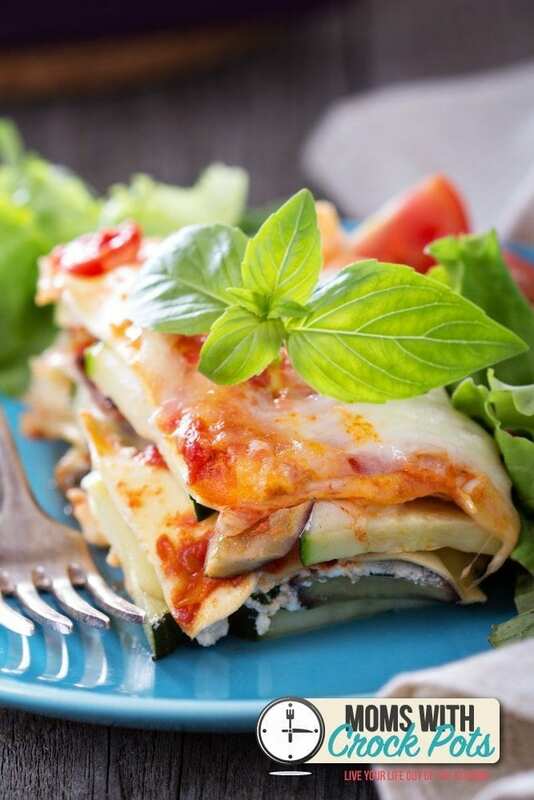 Either way this Crockpot Veggie Lasagna does the trick. 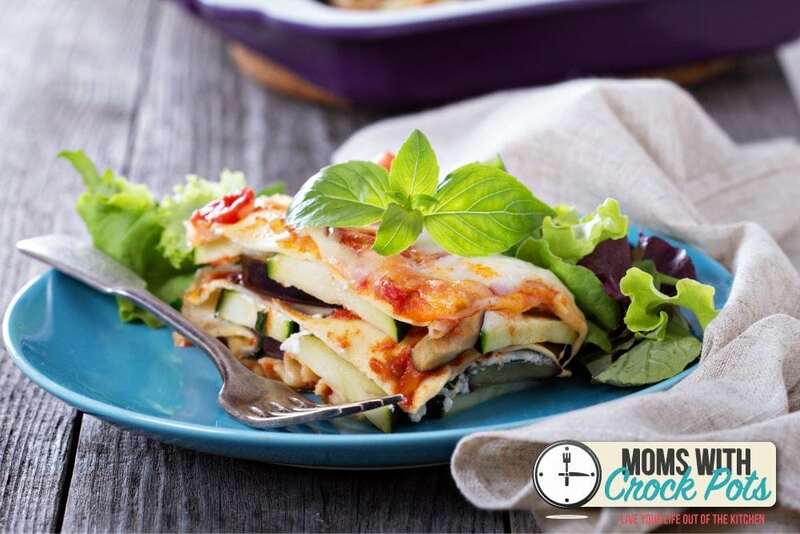 It is full of the cheesy goodness you would expect from a good lasagna plus some tasty veggies to make this a super filling vegetarian dish. This is perfect for a family meal that everyone will love. You can even use gluten free lasagna noodles to make it gluten free too! Combine ricotta, spinach, mushrooms and zucchini in a large bowl. Combine Tomato sauce, garlic and onion in a medium bowl. Generously coat a 6-quart or larger slow cooker with cooking spray. Spread 1 1/2 cups of the tomato mixture in the slow cooker. Arrange 5 noodles over the sauce, overlapping them slightly and breaking into pieces to cover as much of the sauce as possible. Spread half of the ricotta-vegetable mixture over the noodles and firmly pat down, then spoon on 1 1/2 cups sauce and sprinkle with 1 cup mozzarella. Repeat the layering one more time, starting with noodles. Top with a third layer of noodles. Evenly spread the remaining tomato sauce over the noodles. Set aside the remaining 1 cup mozzarella in the refrigerator. Put the lid on the slow cooker and cook on High for 2 hours or on Low for 4 hours. Turn off the slow cooker, sprinkle the reserved mozzarella on the lasagna, cover and let stand for 10 minutes to melt the cheese. This was great! Thanks for the recipe! Now that the weather is heating up I want to use my oven less so I was happy to have found this lasagna recipe! Didn’t miss the meat at all. I love doing some meatless meals now and then. I didn’t include mushrooms and instead did 3 zucchini. I also used a bag of frozen spinach instead of fresh and everything turned out delicious! So glad you enjoyed it Rebecca! It is definitely a keeper!